Rhonda Sterling — First Lieutenant Rhonda Sterling — straight and slim in her tan uniform, jaunty cap and immaculate white gloves, stepped with military bearing from the United Airliner at the Sacramento Airport. Her spirits were high for it was a day to be excited. At last she was reporting for duty at her first base hospital, McClellan Air Force Base, in California, to begin her career as an Air Force nurse. Walking from the aircraft, she was unmindful of eyes focused admiringly on her. She knew that the trim uniform which she wore with such great pride complemented her raven black hair, her dark eyes. And that the silver bar on each shoulder, signifying her rank, was as lovely as a jewel. As she came abreast of the gate she saw another girl about her own age in an Air Force uniform waving to attract her attention. She waved back, smiled, wondering if she should salute as she had been taught at training school at Gunter Air Force Base in Alabama, from which she had departed only five hours ago. “Oh, how terribly nice,” Rhonda said, realizing as they shook hands a salute would have been out of place in such an informal atmosphere. 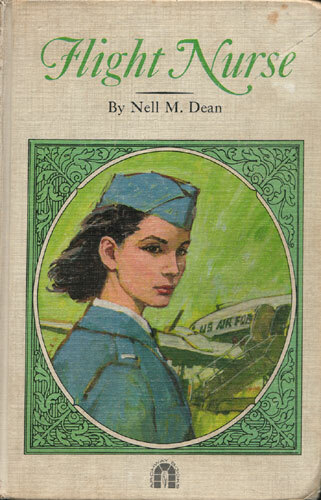 “Yes, ma’am.” The young airman jauntily saluted the two nurses. Rhonda wondered if she would ever get used to being saluted.